Research at the Ford School: exacting, rigorous methods applied through the lenses of multiple disciplines—aimed at today's most pressing challenges. 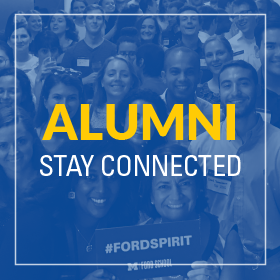 The Ford School is home to or co–sponsor of a number of multi-disciplinary research centers and initiatives that focus on a range of pressing policy concerns, engaged across all levels of governance: local, state, national and international. The Center for Local, State, and Urban Policy (CLOSUP) conducts, supports and fosters applied academic research to inform local, state, and urban policy issues. CLOSUP conducts two ongoing survey operations: the Michigan Public Policy Survey (MPPS) and the National Surveys on Energy and Environment (NSEE), and functions as an information resource for policymakers and practitioners, academics, students, the media, and the public. CLOSUP works to foster effective communication between academic researchers, stakeholders, and the policymakers dealing with today's state, local, and urban policy problems. The center also facilitates student engagement with today’s critical policy issues through its CLOSUP in the Classroom Initiative, integrating Ford School students as policy analysts in the center's research activities, bringing the center's findings into the classroom, and supporting student internships with organizations focused on state and local policy. The Education Policy Initiative (EPI) is a program within the Ford School that brings together nationally-recognized education policy scholars focused on the generation and dissemination of policy-relevant education research. EPI conducts rigorous, applied, policy-relevant, evidence-based research informed by challenging policy questions that are relevant to education practitioners and are necessary to improve educational outcomes. EPI's primary goals include conducting rigorous research to inform education policy debates in Michigan and nationwide; disseminating best practices in education reform to local, state, and national policymakers, as well as to educational practitioners, parents, and students; training graduate students and others to conduct cutting-edge research in education; and facilitating interactions between students and faculty who share an interest in education reform. 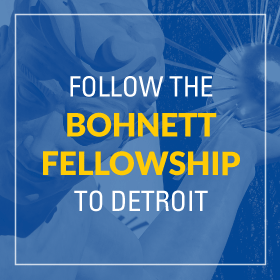 The International Policy Center supports the faculty and students of the University of Michigan and the Gerald R. Ford School of Public Policy in creating new knowledge, fostering considered debate, and developing the policy leaders of tomorrow. The center supports interdisciplinary research, education, policy analysis, and discussion in the areas of prosperity, rights, security, and trade. The International Policy Center (IPC) was established at the Ford School in the fall of 2005. IPC is devoted to interdisciplinary research and education that advances the learning of Michigan faculty and students and informs policymakers on policy issues arising from an increasingly globalized world. In particular, the goal of IPC’s work is to demonstrate how in an interdependent world well-designed policies of governments and international institutions can improve the welfare of people, especially those in developing nations. Poverty Solutions at the University of Michigan takes this legacy to the next level by informing and testing innovative solutions for the prevention and alleviation of poverty. Poverty Solutions seeks to leverage the immense intellectual assets and academic scope of the university to make a major impact on the lives of millions of Americans. The Practical Policy Engagement Program (P3E) is a university–wide resource housed at the Ford School where it can leverage existing expertise and interdisciplinary approaches to generate policy–relevant research, analysis and learning, as well as improvements in organizational practice. P3E aims to advance public policy through engaged learning, policy research, and policy impact. They engage in deliberate and mutually beneficial interactions with people and organizations outside the University who are actively working on—and have the capacity for changing—public policy. Through our work, we hope to radically reshape the culture and purpose of a great public university, create profound policy change, and improve lives for people in the State of Michigan, the nation, and around the world. The Science, Technology, and Public Policy (STPP) Program is devoted to interdisciplinary research and teaching on the politics and processes of science and technology policymaking. STPP seeks to improve understanding, analysis, and intervention in science and technology policymaking from two perspectives: first, from the perspective of science and technology for policy, examining how science and technology are used to develop and affect public policies in a wide range of domains such as national security, public health, economic competitiveness, and environmental sustainability; and second, from the perspective of policy for science and technology, examining how policies are developed to promote beneficial scientific and technological development at the international, national, state, and local levels, such as the allocation of research funding and regulation of new research and technologies. STPP offers a graduate certificate program which is available to any master's or doctoral student throughout the University of Michigan. The program also runs a seminar series which includes talks from leading scholars and policymakers involved in science and technology policy issues. The Weiser Diplomacy Center, announced in September 2018, will serve as a hub for engagement with the foreign policy community, bringing a diverse cadre of seasoned diplomats and foreign policy experts to campus and creating new opportunities for students and faculty through public events, conferences, internships and fellowships, and more. The Youth Policy Lab coordinates activities to provide information and analyses that social services organizations need to do their jobs most effectively. They develop close, sustainable partnerships with state and local agencies, and help connect our partners with each other to access and leverage one another’s work. The Youth Policy Lab's mission is to: Build infrastructure to conduct rigorous quantitative research to inform policy in areas relating to youth development, including education, crime, health, and social welfare; Support evidence-based policymaking; Identify and evaluate promising interventions; Disseminate best practices for youth policy and for the formation of data-centered, researcher-practitioner partnerships. Other U-M research units with which the Ford School has regular interaction include the Institute for Social Research, the nation's longest-standing laboratory for interdisciplinary research in the social sciences, and the Inter-University Consortium for Political and Social Research, which has one of the world's largest archives in the social sciences. Ford School faculty members conduct research in conjunction with numerous other research centers on campus, including: the Center for the Study of Complex Systems, the Graham Environmental Sustainability Institute, the Office of Tax Policy Research, the International Institute, the Institute for Research on Women and Gender, the Economic Research Initiative on the Uninsured, the William Davidson Institute, the Population Studies Center, and more.